The city, according to admirers and detractors alike, was different from all others, no other city in Russia resembled Odessa. If Odessa could be compared at all, it was only to the port cities of America, and then only to those on the frontier, like Chicago or San Francisco, where a mixture of enterprise, license, and violence combined to create environments free from the restraints of the past. Different from all others - this is what Odessa streets as well as its decorations and literary fame keep saying. Odessa is different in all ways and first of all in attitude to Jews. It became the first city of the Russian Empire, where Jews were allowed to settle. 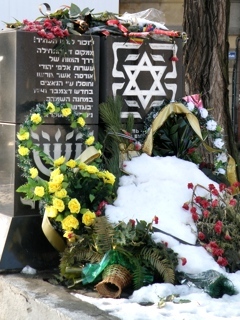 By the time of the WW II Odessa Jewish community became the third largest in the world, after New York and Warsaw, having reached almost 47% of the city population. The mystery of Odessa, however, is why this tolerant cosmopolitan city in the late 19th century came to be one of the biggest centers of Zionist movement, from where thousands of Jews started their way to Eretz Israel. With our professional guide you ll find out about the history of the Odessa Jewish community, dark days of Holocaust, and get acquainted with modern Jewish Odessa. Odessa 5h Jewish tour highlights: Primorskiy Boulevard, Monument to Duke de Rishelye Potemkin Steps, Monument to Catherine the Great, Opera House and Deribasovskaya street, 2 main city Synagogues, the Brody Synagogue, the Holocaust Memorial, International Community Center, Yevreiskaya (Jewish) street, The House of Bialik, The House of Zhabotinskiy, The House of Palestine Committee. Since its foundation, Odessa has been a cosmopolitan city. Big communities of Greeks, French, Polish, Italians, Jews, Russians, and other people have existed here. It became the first city of the Russian Empire, where Jews were allowed to settle. 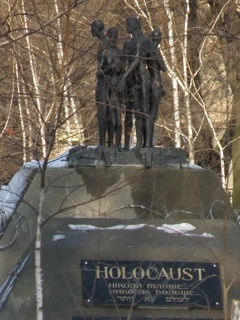 By the time of the WW II Odessa Jewish community became the third largest in the world, after New York and Warsaw, having reached almost 47% of the city population. Many great names of Jewish writers and politicians are connected with Odessa. You'll visit almost all Jewish heritage sites of Odessa. With our professional guide you ll find out about the history of the Odessa Jewish community, dark days of Holocaust, and get acquainted with modern Jewish Odessa. Odessa 3h Jewish tour highlights: 2 main city Synagogues, The Brody Synagogue, The Holocaust Memorial, The International Community Center, Yevreiskaya (Jewish) street, The House of Bialik, The House of Zhabotinskiy, The House of Palestine Committee. Special offers for cruise ships passengers! Explore Jewish Odessa with UkraineTour!